These guys r going to be almost unbeatable. One of my favorite pieces I have ever done! Black Goku from Dragon Ball Z! An EPIC team that just may be unstoppable when I pitch them against my 'Good Guy's teams. This was a very fun piece to research and wrk on. I included all eight tentacles on Cthulhu since his description had to do with an octopus. Miraak and Black Goku were easier to draw and I have them levitating. Really Love the outcome of my work. Here I added color to one of my Villians team ups. 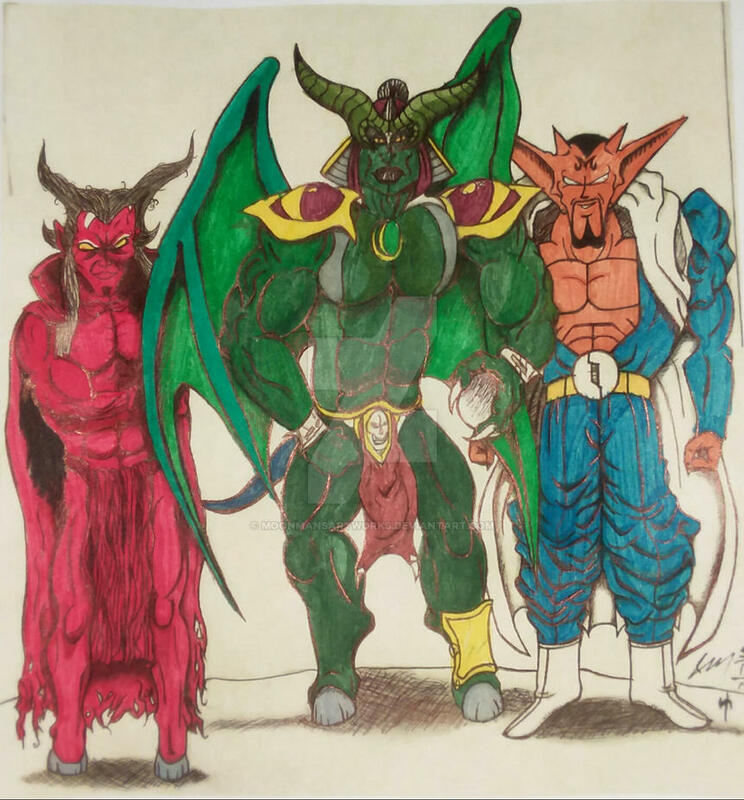 We have Mephisto from the Marvel Universe, Onaga the Dragon King from the Mortal Kombat Universe, and Debura from the Dragon Ball Z Universe. Just think if these 3 teamed up and faces one if my Hero teams??!!! Hope you all comment and Fav! I say plus since I have more than 365 planned, so you will get to see many epic Legends. This unique project will feature both male and female characters. In each piece will be characters of the same alighnment that they follow in they're respective universe's. Some may be 'on-the-fence' or switch sides. For Example: All Good Character or all Evil Characters. All Fire Beings or All Water. Etc. In each drawing they will have something similar to one another. I am Freehand drawing every piece myself, as well. X-My own World I have been creating called, Seneka. ***Like I said above, this is not a limited list of where i pull my references and inspiration from. My own imagination is constantly thinking of new drawings and characters for this project and the story I am writing and illustrating. !Enjoy and Thanks for your Support!